Don't allow your criminal background to hinder you from dreaming big. Nothing is lost. You can make your dream a reality despite your criminal record. The sky is the limit, even if you have a felony. The Felon’s 2019 Guide to Finding a Job will help you jump start your career. LOS ANGELES - Jan. 4, 2019 - PRLog -- Prison Rideshare Network (PRN) recently launched an book titled The Felon's 2019 Guide to Finding a Job & Becoming an Entrepreneur. Now available in paperback, this is an important tool for inmates and ex-cons with criminal histories. PRN is a non-profit organization dedicated to helping prison loved ones find rides to visit their family and friends in prisons. The group also provides other types of services for those who love and support people locked up behind bars. This book is the nonprofit's effort to provide loved ones with resources they can share with the currently and formerly incarcerated to help jump start their careers. It helps ex-convicts secure jobs after serving prison time or getting out of jail. The jobs for felons guide a well-researched, comprehensive guide useful to anyone with a felony record. With this book, PRN aims is to equip ex-convicts and inmates with the necessary skills and information needed to find jobs after release against all odds. This employment and entrepreneurship guide for felons provides information to ex-cons on businesses that employ felons US. Learn how you can work for them, even with a criminal record. This book equips you with top tips of writing killer resumes and cover letters. Utilize laws enforced by Ban the Box. Get through intimidating job interviews. Equip yourself with effective tricks and tips to circumvent background checks and tough questions asked during interviews involving felonies. Not interested in finding a job? Tired of working a 9-to-5 with big ideas in your head? This book also equips you with resources you need to start a successful business as an ex-con, even if you're still on parole. Get life-changing ideas on different businesses you can launch to become a successful entrepreneur. You'll find information on how to find funding for a small business startup. Learn how to establish business credit and other ways to grow your business in 2019. The Felon's 2019 Guide to Finding a Job & Becoming an Entrepreneur contains tools, referrals and vital information to help ex-convicts secure jobs and start businesses. 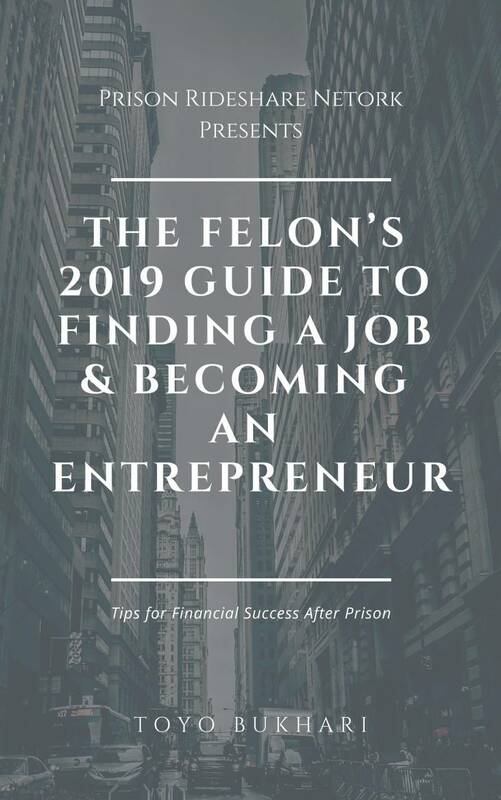 The Felon's 2019 Guide to Finding a Job & Becoming an Entrepreneur aims to help anyone with a criminal record secure a job. If you don't intend to venture into the job market, you can also use it as a resource tool to help you start your business. Don't allow recidivism to catch up with you. This book will help any felon. Use it safeguard your financial future. Download an eBook copy now. Or, order a paperback copy for your incarcerated loved one and have it shipped directly to the prison facility.